Transformice is a game where a group of mice, with the aid of a shaman, try to get cheese and return to the mouse hole as fast as possible and without dying. It's great fun in groups. 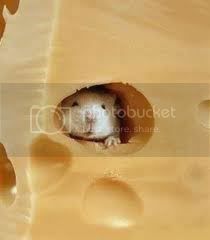 Shamans summon objects and can use them to create inventive ways to get the mice to the cheese and back. This group is to bring all of us together so we can trade transformice names, tips, inventions, etc. Please remember to occasionally bump the thread so we can get new people to start playing as well.